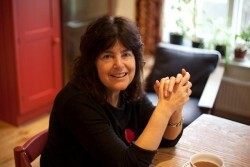 Mary Kaldor is Professor of Global Governance and Director of the Civil Society and Human Security Research Unit at the London School of Economics. She is the author of many books, including ‘The Ultimate Weapon is No Weapon: Human Security and the Changing Rules of war and Peace’, ‘New and Old Wars: Organised Violence in a Global Era’ and ‘Global Civil Society: An Answer to War’. Professor Kaldor was a founding member of European Nuclear Disarmament and of the Helsinki Citizen’s Assembly. She is also convenor of the Human security Study Group, which reported to Javier Solana, and now Cathy Ashton.